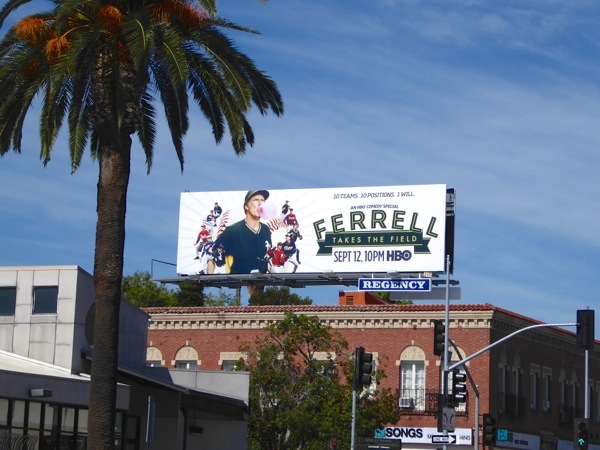 No stranger to the big screen, Will Ferrell seems to be equally at home on the small screen of late. 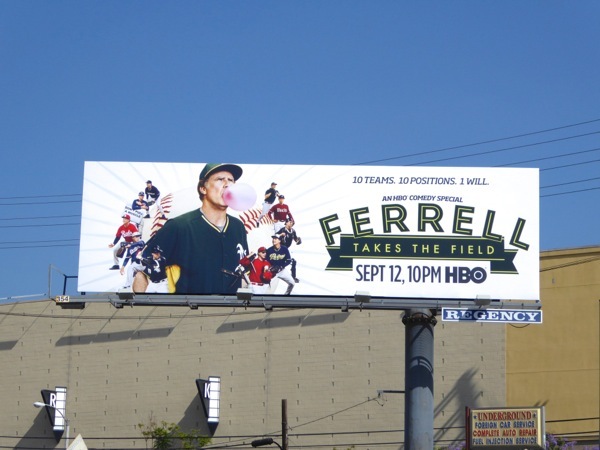 First there was his Lifetime movie, A Deadly Adoption, with Kristen Wiig earlier this year, and now Ferrell Takes the Field in an all-new sporty HBO comedy special. 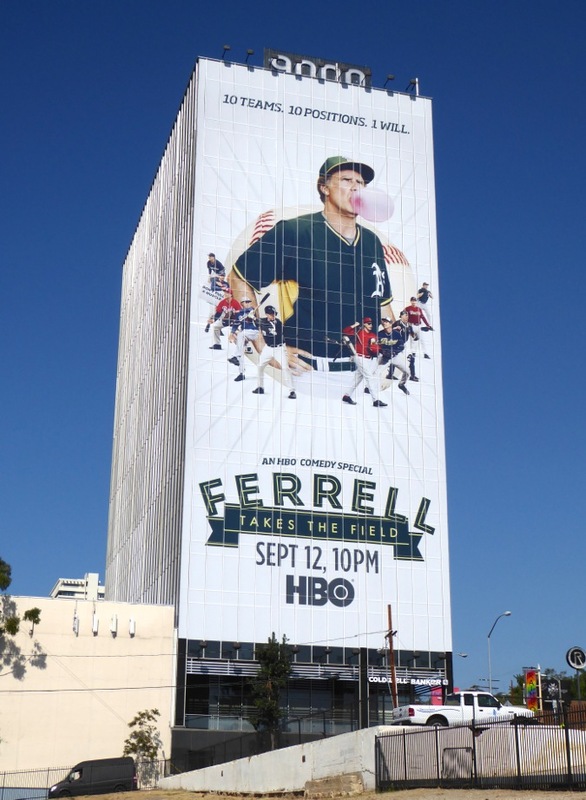 To help support the fight against cancer Will Ferrell, in partnership with Funny or Die (the comedy video website he helped found), spent a record-breaking day traveling all around America's West Coast and Arizona to play for ten baseball teams, in ten positions, all documented for your comedy pleasure. 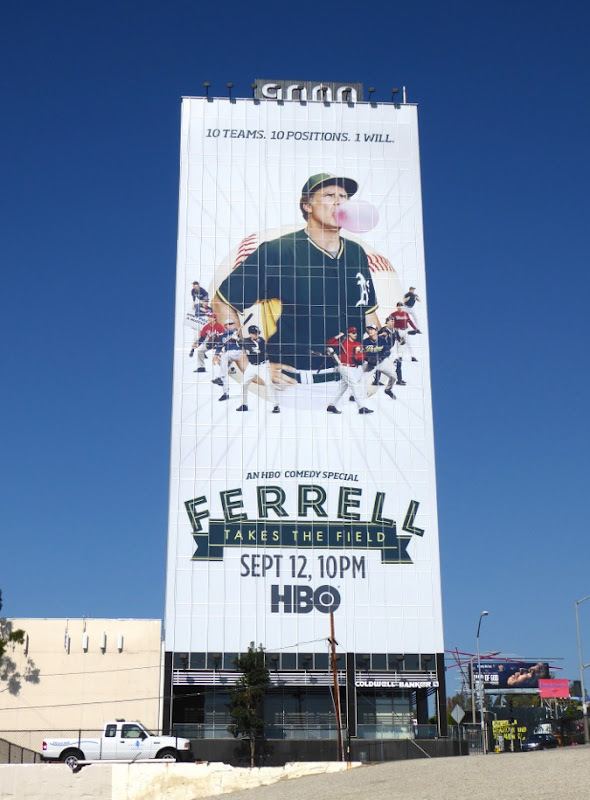 Taking on America's national pastime he took the field for the Oakland Athletics, Seattle Mariners, Chicago Cubs, Angels of Anaheim, Cincinnati Reds, Arizona Diamondbacks, San Francisco Giants, Chicago White Sox, L.A. Dodgers and San Diego Padres. 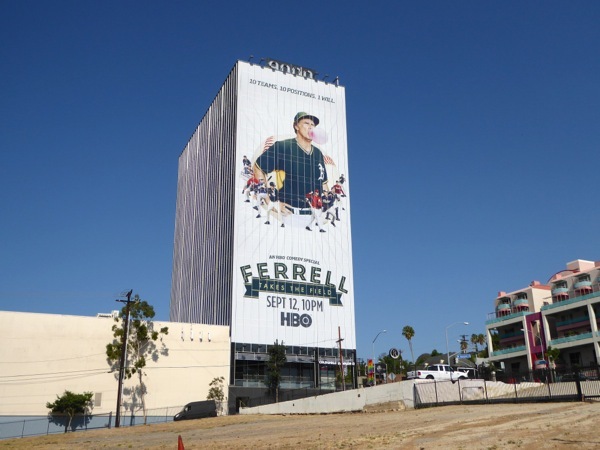 The landscape billboards for this HBO documentary comedy special were first spied along Sunset Boulevard on August 16 and later along La Brea Avenue on August 23, whilst the giant-sized version was snapped towering over the westbound Sunset Strip on August 28, 2015. 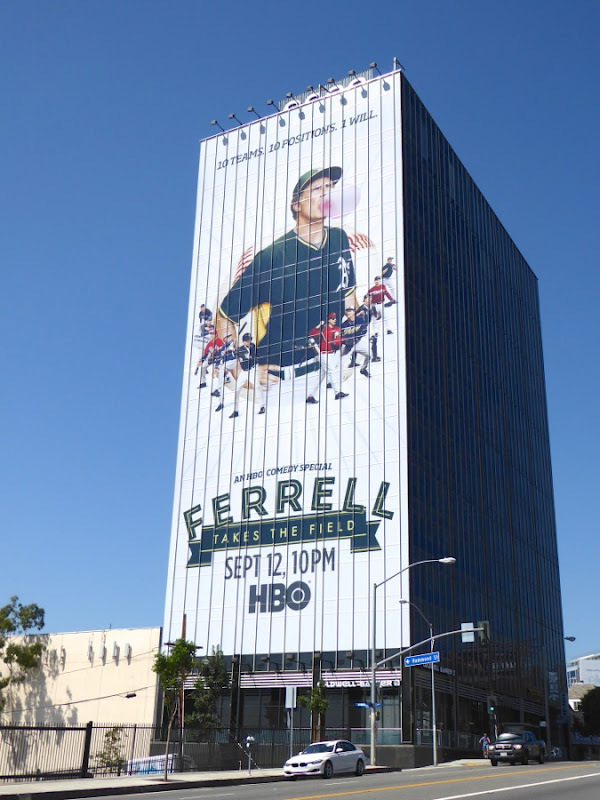 It's not the first time HBO has ventured into the world of sports either, as recently the tennis-themed 7 Days in Hell occupied this same super-sized ad location. 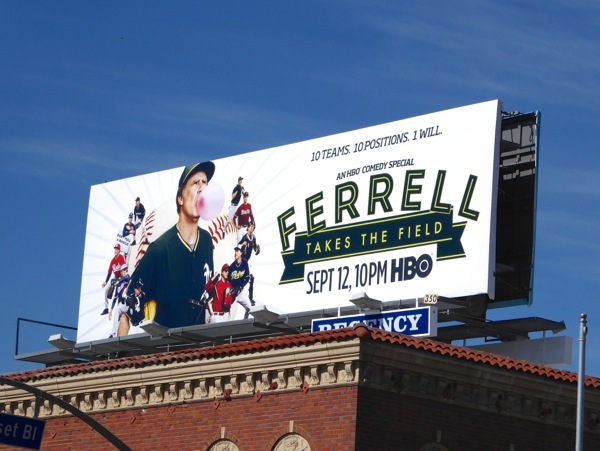 Will Ferrell is no stranger to sports either, having starred in such gems as NASCAR racing movie Talledega Nights: The Ballad of Ricky Bobby, basketball movie Semi-Pro, ice-skating movie Blades of Glory and even soccer comedy Kicking & Screaming. 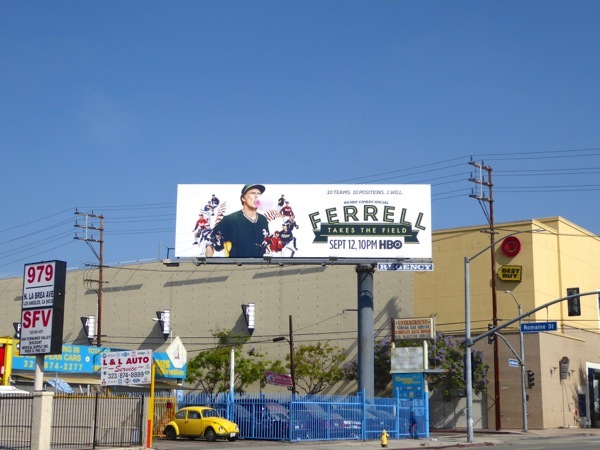 Fans of the funny guy will also want to check out these fun Anchorman 2 movie billboards, Get Hard film billboards and these special 3D mannequin billboards for The Campaign movie. 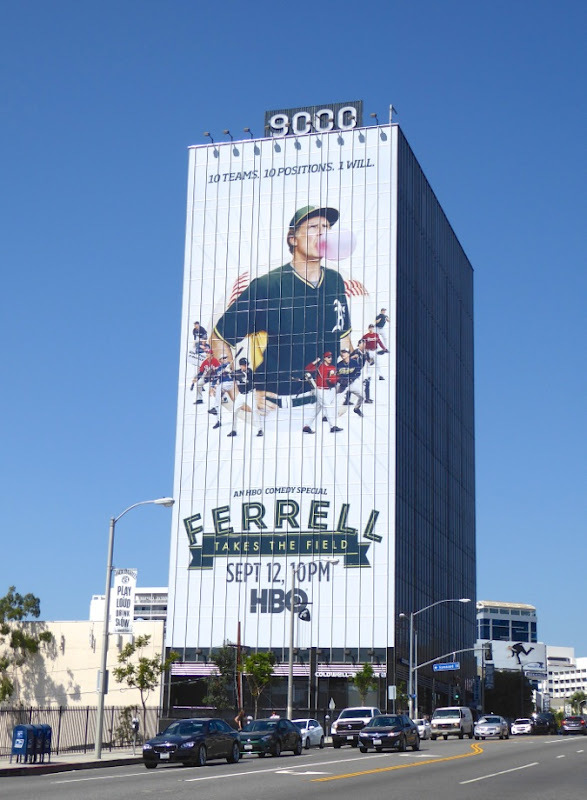 Once again Will Ferrell proves he's a good sport, so make sure you batter up and watch him take the field today.